It charts the 50 year marriage of Defu and An Jie, an unlikely duo immersed in the post revolutionary China of the early 1950s. Jiang Defu is an enthusiastic Commander attending military school for specialized training. Recently divorced, he bunks on the base with his worldly wannabe friend, Ding. Defu and Ding play chess, exchange war stories and wax poetic about women, but Ding inflates his experience and Defu shrugs off his limited scope. One night, our lackluster lothario gets talked into attending a dance, where he meets the lovely An Jie, an office worker with a sharp tongue, who's considered an 'outsider' because of her upper class background. She limps home after twisting her ankle (made worse by Defu's stumbling footwork) and announces to her wealthy family that she's done trying to date outside of her class. The large ensemble cast boasts some memorable characters: Husband Defu (Tao Guo) knows all the buttons to push in the never-ending struggles with his wife - even though he's fully aware it will get him in trouble. An Jie (Ting Mei) is long on knowledge but suffers no fools, least of all Defu. Defu's sister, Dehua (Lin Liu) is incapable of staying out of her brother's personal affairs, much to everyone's frustration. Ding becomes their neighbor, which only results in more muddled waters - especially when his wife and children descend. But my favorite character is Defu and An Jie's eldest daughter Yafei, who excels at putting everyone in their place while solving every situation (before every one else - naturally). So begins an improbable love story that centers on two strong-willed people who know they're in it for the long haul, despite meddling neighbors, skeptical family members, unruly offspring and changing party politics. 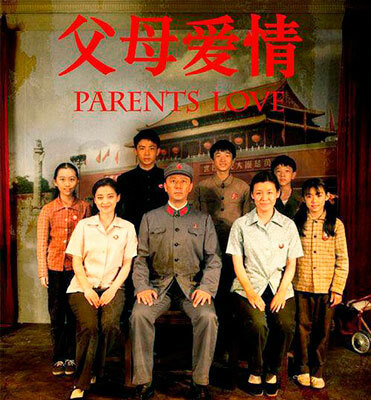 Against the backdrop of a country mired in overzealous followers and timeless traditions, Romance of Our Parents brims over with humor and drama. The core strength of the story is that An Jie and Defu are able to forgive a mistake even while bickering about it, because - let's face it - the battle of the sexes is the greatest aphrodisiac, isn't it? The production focuses on busy village life for the first 25 years, highlighting the issue of educating 'capitalist' raised citizens while elevating the working class. Here is where - for western audiences - the cultural divide deepens. All the farmers -especially women - are portrayed as gossipy illiterates. Their political education improves, but they appear to be left out of the Chinese party literacy program altogether. For 'bad' citizens (i.e. those from the capitalist class) the fear and dread of the Red Guard is accurately depicted, as rumors produce lightening quick responses from party officials and unruly youths. Yet these developments toughen up the characters, preparing them for the transition back to city life. As they enter the second part of the series Defu, An Jie, Ding and their families settle into a new world of technological and social changes. Grandchildren and growing older now bring a new set of challenges for the aging duo, allowing the edges of their old-fashioned common sense to be smooth by Yafei’s modern sensibilities. Unfortunately for Dehua, she still doesn't get the education memo and remains woefully uneducated by the show's end…sigh. This platinum series won the Golden Eagle Award for Best Television Series 2014, with Ting Mei (An Jie) winning the Feitian Television Award for Best Actress 2015. Sheng Kong won the Feitian award for Outstanding Director. Jing Liu was nominated for Best Writing and Ting Mei and Tao Guo for Best Actress/Actor by the Shanghai International TV Festival. What is so moving about this series is the focus on this compelling couple and their enduring love story. 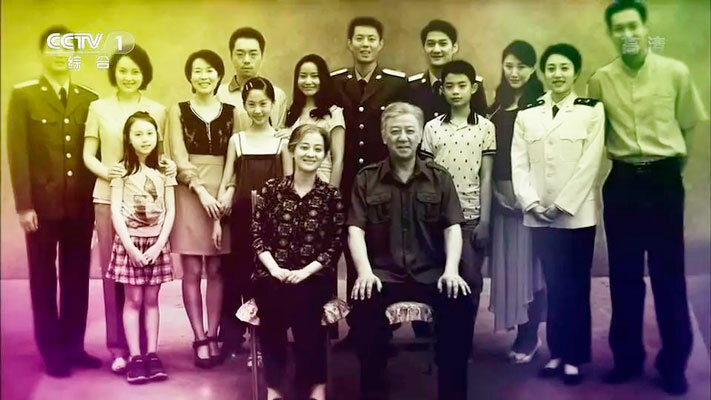 Netflix offers many Asian programs that feature mixed generations, but Romance of Our Parents is done so well that it transcends the confines of the small screen. American television - let alone film - simply has nothing like it, perhaps because our culture doesn’t value aging parents and their personal history, in its frenzy to find the next fountain of youth. Savor Romance of Our Parents for a truly unique experience that honors family, aging and above all - love.